BANDIT'S HOBBIES LIMITED, LLC - Bandit’s Hobbies has been the premier stop for hobbyist for over 25 years. 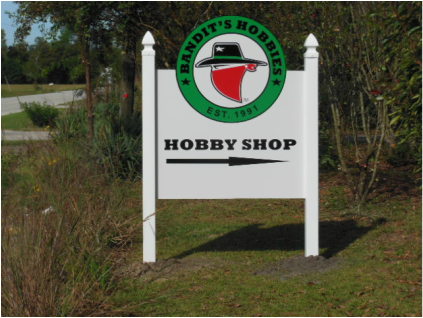 "Welcome To Bandit's Hobbies Limited"
​"South Carolina's #2 Hobby Shop.....Why #2? Because All The Other Hobby Shops Claim They Are #1"
Locally owned and operated, Bandit’s Hobbies has been the premiere stop for hobbyist for over 28 years. 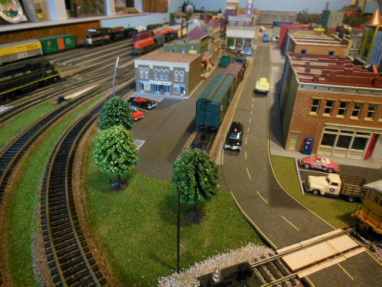 Thousands of visitor's to the Pee Dee Area in Eastern South Carolina have trusted our knowledgeable staff and returned on each visit to the area to shop for their radio control, model railroading, plastic model and general hobby needs. Since our doors first opened, satisfying the needs of every customer has been our #1 priority. 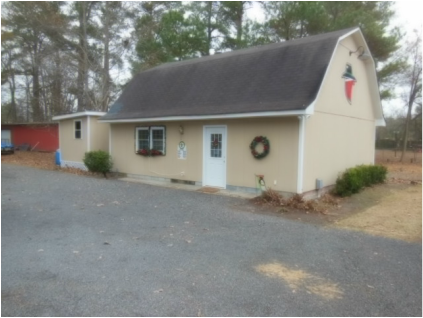 The owners are avid hobbyist with many years of experience and are dedicated to providing excellent service and satisfaction to both the novice and professional hobbyist. Regardless of your interests, we will assist you in every aspect to assure that your visit to our shop will be rewarding and successful. Our business is the outgrowth of the Owner's personal involvement in radio control racing which began in 1982. In 1990, the Owner was selected by S.S. Industries as a factory racer for HyperDrive Racing. Rest assured that we understand a racer's needs completely and we support that need by providing quality parts, prompt service and competitive prices. In house repair service is available. ​With sales exceeding $3,500,000.00 and a 28 year reputation built on competitive value, friendly service and customer satisfaction, stop in today and check out "Eastern South Carolina's #2 Hobby Shop!!" No where in our area can a greater selection of in stock items can be found. We support the manufacturers that we carry by maintaining a fully stocked parts department, a critical part of our commitment to provide service after the sale. We don't like telling you "We can order it" any more than you like hearing it! If your interest is in remote control cars, trucks, boats or helicopters, ﻿Bandit's Hobbies﻿ is the place to shop. Our R/C Parts Department has over 3000 different parts in stock, so the odds are extremely good that we can fill your parts needs from our in-store parts inventory. Check out our model train department and see why we are eastern South Carolina's #1 Model Train Shop. Our selection of locomotives, rolling stock, track, scenery, buildings, etc. is superior to any selection that can be found in the area. Regardless of scale, Bandit's Hobbies is the place to shop for all of your model railroading needs. 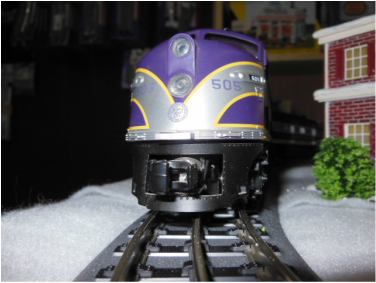 MTH Atlantic Coast Line #505 Arriving For Opening Day! The difference between ﻿Bandit's Hobbies and so many internet sellers is that everything shown here on our web site is actually on the shelf in our hobby shop and not sitting in a distributors warehouse in another part of the country. We made a decision almost 30 years ago not to be a 3rd party re-seller like some internet sellers. Our current in-stock inventory has a value of over $250,000.00, so for you our valued customers, you get your item(s) at least 3 days sooner than had your purchase been made elsewhere. Why should we waste your time reading a long drawn out definition of what "IN STOCK" means when you could be enjoying shopping here on our site with the satisfaction of knowing that you will receive the item(s) you select. How simple can that be? Our customers get their items sooner because they don't have to wait for us to order and receive their items from one of our suppliers before we ship them out. As a valued Bandit's Hobbies customer, this is a really a Big Deal, as 98% of all our orders are shipped out the same day that we receive your order. Since launching our web site shopping cart in December of 2012, we have shipped orders to customers in all 50 states and to international customers in Argentina, Australia, Austria, Brazil, Bulgaria, Canada, Croatia, Denmark, Finland, France, Greece, Germany, Indonesia, Ireland, Israel, Italy, Japan, Malaysia, Mexico, New Zealand, Netherlands, Norway, Puerto Rico. Poland, Russia, Spain, Scotland, Slovenia, Sweden, Switzerland, Turkey, United Kingdom, US & British Virgin Islands and the Shetland Islands. ​NOTE TO INTERNATIONAL BUYERS: Import Duties, Taxes, and VAT Charges are NOT included in the item price or included in our shipping cost. Please check with your country's customs office to determine what these additional costs may be prior to making your purchase here on our web site.